New Jersey’s Online Gambling Not Suitable for PennsylvaniaCould Pennsylvania Bring Life Back to The US Online Poker Scene? Bet365 and Hard Rock Atlantic city have joined forces to bring sports betting to New Jersey. Almost a month and a half after the U.S. Supreme Court abolished The Professional and Amateur Sports Protection Act (PASPA) and cleared the way for legalised sports wagering across the country, the two companies revealed their pans to come together on the matter. The Professional and Amateur Sports Protection Act (PASPA), which is also knowns as the Bradley Act, has been in effect since 1992. PASPA’s aim was to stop the spread of sports betting in the USA. Under the federal law, only four states could continue with their practices of sports betting even after it was implemented. This was because sports betting had already been written into their law at the time. The states that were allowed to offer sports betting included Nevada, Oregon, Delaware, and Montana; however, Nevada was the only state that was allowed the full sports gambling menu. Any new states wanting to legalising sports betting would face restrictions. PASPA prevented most forms of sports betting around the country for 26 years until the Supreme Court of the U. S. decided to repeal it. At the time the law was put in place, there was a clause, which allowed sports betting to be expanded to some state. This included any state that had had commercial gambling already authorised within the borders, for a minimum of ten years. At the time New Jersey was the only state that would have qualified, as it had legalised gambling within their borders 13 years before. However, the law also allowed them a relatively small window of one year, after the passage of PASPA, to make the alterations. New Jersey authorities failed to pass a sports betting law before their deadline at the end of 1993. As a result, were also barred from sports betting like most of the country. According to a correspondence posted on the New Jersey Division of Gaming Enforcement's (NJDGE’s) website, the two companies, Bet365 and Hard Rock Atlantic City, first signed a letter of intent last month on the 19th of June 2018. However, neither company had made any public announcements regarding the deal. As part of the deal, Director, David Rebuck, had to sign off on a portion of the partnership as a matter of public records on the 25th of June, which was discovered by the press. According to a report in Play NJ, the temporary approval is valid until the end of this month, 31st July 2018. In the meantime, Bet365 will work towards completing the necessary paperwork to acquire a license to operate in the state. At the same time, Rebuck’s letter seemed to indicate that the requisite application is already on file with his agency. This sports betting deal will be the first in the US for this large European bookmaker, following William Hill and Paddy Power Betfair, two other companies from across the pond. Hard Rock AC just opened its doors to the public. They celebrated the grand opening with a traditional guitar smash event last week, on the 28th of June 2018. The new owners acquired the shuttered down Trump Taj Mahal Hotel and Casino Atlantic City last year and decided to completely refurbish the dated property from the 80’s. They invested USD $500 million to completely remove signs of the kitsch Indian décor from the properties past life and bring it in into the 21st century. The designers completely redid the exterior and dotted the inside with significant pieces of musical memorabilia from the region’s past. Workers are still putting the finishing touches on the building, and so far, there does not seem to be a physical sportsbook in place. 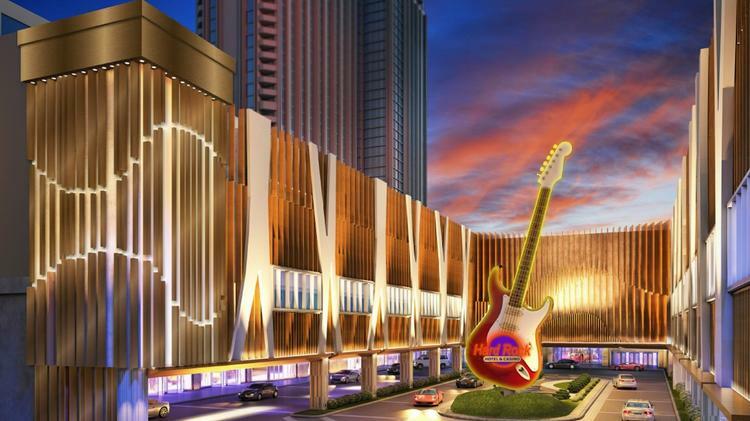 During the grand opening ceremony, the Chairman and CEO of Hard Rock International, Jim Allen, had confirmed that the property would offer sports betting. However, he refused to disclose any further details. If anything, he indicated that further updates were not especially imminent. While speaking to the press on the 28th of June 2018, he suggested that Hard Rock Atlantic City is looking at modern technologies for their sports betting needs as the public seem to be keener towards mobile betting these days anyway. He also added that The New Jersey Division of Gaming Enforcement (NJDGE) had not approved of any such technology to be used in conjunction with sports betting in the state as of yet and so, they will have to revisit the matter in a month or two. Now looking at the dates, it is clear that the partnership between Bet365 and Hard Rock Atlantic City was already in place when the casino opened its doors to the public, and Allen made the statement. It seems that Hard Rock was not ready to disclose any information regarding the deal, but the NJDGE’s letters have tipped off the agreement. The Hard Rock online casino is already up and running. It is powered by Gaming Innovation Group (GiG). If the paperwork for Bet365 does not go through and they end up not supplying the sportsbook services for the casino, GiG might just take over and fulfil their sports betting needs as well. The list of New Jersey bookmakers will grow by one very big company if and when Bet365 enters the market. Large gaming companies have been in the news a lot over these past few months. As the U. S. starts to slowly accept online gambling and other forms of gaming expansions, their dealings with these international betting corporations will also be on the rise. Most recently, the Supreme Court’s decision in Murphy vs. NCAA has allowed a growing list of states to legalise sports betting. In the weeks since that ruling, a renewed scramble for position has been sparked in the gambling industry. The race has always been led by New Jersey and it is now heavily featuring several large European bookmakers. With such aggressive expansion plans taking over the country, it is no surprise that large multi- billion dollar companies, like Bet365 Group, which are based in the United Kingdom are also being brought into the forefront. William Hill U. S. is another American branch of a major U. K. – based gambling corporation that operates sports betting services for two casino properties in New Jersey. These are Monmouth Park and the new Ocean Resort Casino. Earlier this month, Betfair U. S., another company with a similar background, has partnered with The Meadowlands property to launch sports betting under the FanDuel brand. Betfair U. S. also operates the Betfair NJ online casino, and all three bookmakers operate existing horse betting platforms in the country too. With the addition of Bet365, three of the largest gambling companies in the world will now have a presence in the east coast gambling state of New Jersey. New Jersey will serve as the launch pad for Bet365 in the USA, but the group has ambitions to take over gambling operations across the entire U. S. map. 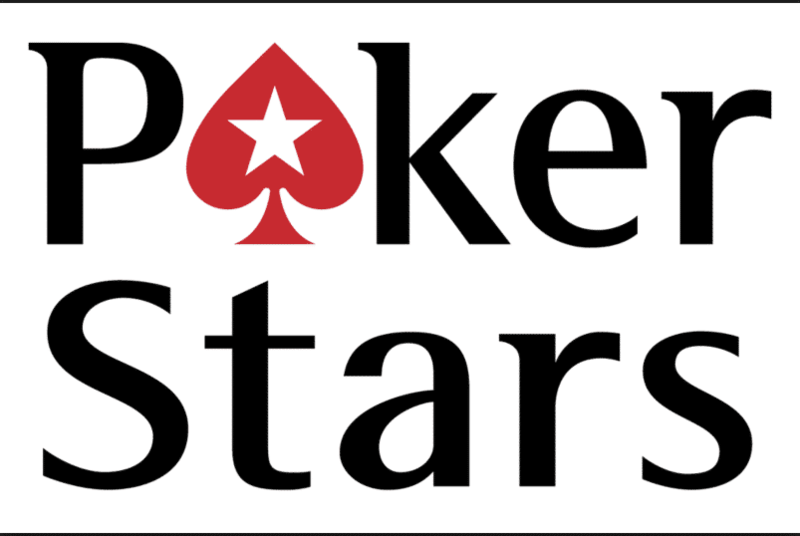 There is no doubt that the company has the brand strength and the sheer size to compete against any other gambling operator in the world, and they have already invested in some lobbying efforts with New York lawmakers. So, we might not have to wait too long to see a wider presence of the corporations in more states across USA. BET365 Group Ltd. is a global, market leading, online gambling group that is based in Stoke- on- Trent in the United Kingdom. The company, which was founded in 2000, now enjoys more than 19 million customers in almost two hundred countries. BET365 offers sports betting, poker, casino, games and bingo services. They deliver video streams on sporting events. The company also offers an on- course bookmaking services. The website for BET365 is available in seventeen different languages and supports transactions in a variety of payment methods for up to 28 different currencies. The company has been praised by their local MP for being “a Great British success.” Not only are they known for offering well- paying jobs, they also pay due taxes to the UK government; money which is then channelled into useful projects. BET365 won the “Operator of the Year” award at the eGaming Review Operator Awards in 2010 and was ranked third in The Sunday Times Profit Track 100 league table. The list ranks private companies in the UK based on their profit growth rate. BET365 was also ranked as one of the fastest growing privately owned technology, media and telecoms companies in The Sunday Times Tech Track 100 league table. E-Gaming Review magazine has ranked BET365 the number one Internet gaming company for three years running in 2010, 2011 and 2012.